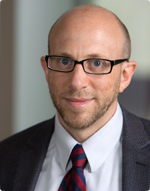 Jason Blechman is Macmillan Keck’s of counsel based in New York. Jason has experience in telecom, competition, financial services, electronic commerce and corporate law. Jason has advised public and private sector clients and foundations on regulation of digital financial services and remittances in Africa, Europe and Asia. He has advised on data protection and privacy issues in Africa and Asia, including in the context of implementing national ID systems. He has also assisted competition and telecom sector regulators in Africa in carrying out competition assessments and drafting and implementing regulatory frameworks. Jason also represents private sector clients from a wide range of industries in software licensing, IT services and other commercial transactions and advises on compliance with information security regulations, including the HIPAA privacy, security and breach notification regulations. He has advised governments and state-owned enterprises on telecom infrastructure projects and sector restructurings in Africa, South America and the Pacific Islands. He has also represented investors in ICSID and FINRA arbitrations. Before joining Macmillan Keck, Jason was a corporate finance and securities associate in the New York office of Milbank, Tweed, Hadley & McCloy and a corporate associate in the New York office Duane Morris. He is licensed to practice law in New York. Jason has authored several recent publications, completed several recent speaking engagements and been quoted by media on a variety of matters. Jason received his J.D. from New York University School of Law and his B.A. in Biological Basis of Behavior from the University of Pennsylvania. He is admitted to practice in New York.